On 6 May 2003, a new universe was born. 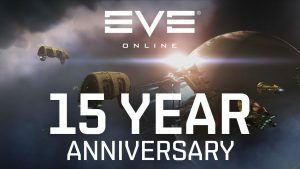 This trailer celebrates 15 glorious years of player and community achievements in EVE Online. 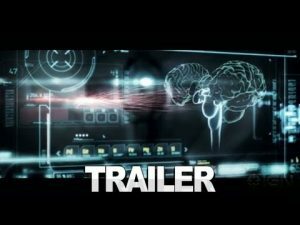 From the first EVE characters and corporations to the biggest player events and battles, fly through the greatest moments of the player-written EVE Online story so far. You are EVE, and the future is yours to write. 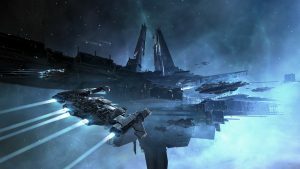 EVE Online introduces the Alpha and Omega clones system. Allowing for expanded free to play options in an effort to increase player population and activity. 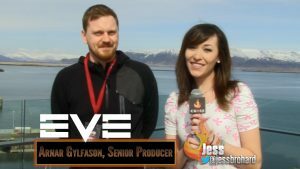 Jess interviews Arnar Gylfason, a senior producer at CCP, at Fanfest 2013! 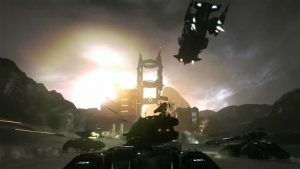 Peek behind the beta curtain and see the player-manned dropships, vehicular combat, and deadly array of weaponry headed your way in the next-generation multiplayer shooter, DUST 514. The new video is the second part of CCP’s Welcome to New Eden series, and while the lore stuff will probably seem somewhat fluffy to the EVE-newb target audience, there is a bit of gameplay info to be had. 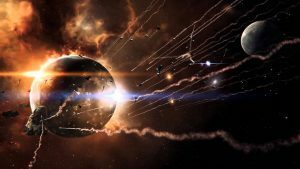 Inferno, the 17th free expansion to EVE Online, sounds the clarion call to war. Inferno invites new players with a lower barrier to entry, empowers veterans with more control over their wars, and entices combatants of all types with advanced new weaponry.